Is Your Furnace Ready for the Winter Season? 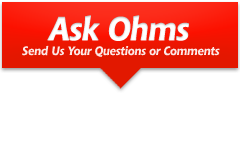 Ohms Mechanical Services is a fully licensed company specializing in sales, installation, servicing and repair of residential and commercial heating and air conditioning equipment. We have serviced the GTA's heating and cooling needs since 1978. Our reputation is based on providing dependable superior quality products and service to the consumer at competitive prices. Ohms will perform all work in a professional manner and will treat your property with the respect it deserves. With winter once again on our doorstep now is an important time to make sure your furnace is maintained and inspected for safety to ensure trouble free service for the upcoming heating season. If you have an older furnace and are considering a replacement, the AFUE (Annual Fuel Utilization Efficiency) rating should not be overlooked. With rising energy costs and instability in the energy markets the benefits of a higher AFUE replacement furnace can easily outweigh the cost of the equipment over its lifetime. Also important when selecting a new furnace is choosing carefully to ensure the equipment will stand the test of time. At Ohms we are proud to offer the Bryant® line of furnaces complete with excellent factory warranties. Bill Ooms says "When you build the best furnaces you're not afraid to back them and that is why Bryant® has the most reassuring warranties you will ever find. Bryant® furnace AFUE ratings range from 80% to 96% and make saving energy dollars a breeze".